A taster of The Devastator's analysis - its much clearer on their site! The always interesting Beat blog has a great link here to The Devastator's analysis of recent comic shows from an exhibitor's sales point of view. 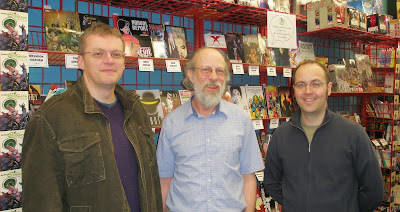 This is a rare if not unique occurrence and for anyone interested in comics, festivals and a bit of clearcut comment is fascinating. 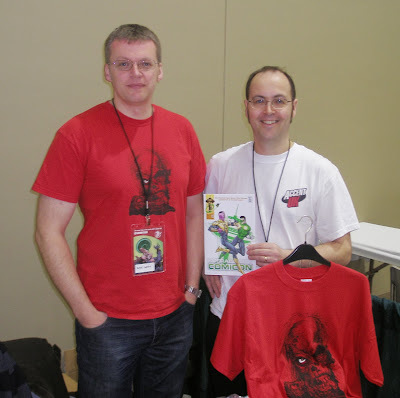 Being a US site it of course concentrates on American shows of which only the Emerald City Con in Seattle is one that Accent UK have exhibited at (and it has to be said we found it slow) but its still pretty useful. The site's compilers are at pains to point out that the analysis is based on those exhibitors who responded to their survey, some 46 in total, so the results are not overly scientific but interesting nevertheless. It would be interesting to have a similar UK survey but as recently commented on, sales, while obviously important are not always the only factor which determines if a show is successful or not. Certainly for us while our Seattle sales were disappointing we were breaking new ground with our first US show and had we been able to follow up, we may well have grown our audience there, similar to what we achieved with our European shows in Copenhagen and almost achieved with New York's MoCCa but its a difficult thing to sustain on available resources, particularly now that our 'home' UK market has a vibrant convention scene of its own. Enjoy the article and analysis and perhaps give your own findings some thought? 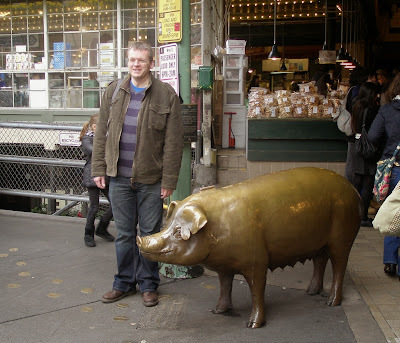 Dave made a few new friends on our Seattle trip including the famous Pike Market Pig ! Mmm might have something to do with those Seattle sausages I bought ..